Braces can be one of the most beneficial appliances available when used to help improve a child’s smile. Life with braces is not as difficult as many people believe if the patient follows the doctor’s orders as they pertain to the care and cleaning of the appliance. Most types of braces have small nooks and crannies where food and debris can get trapped. Without proper cleaning, debris and food can remain lodged in the braces causing erosion of the enamel that eventually leads to cavities or dental caries. Brush – When braces are put in place, it is important to brush after every meal to make sure all food and debris is thoroughly removed. Floss – While it may be difficult to floss depending on the type of braces that are used, it is still important to try and do the best you can. 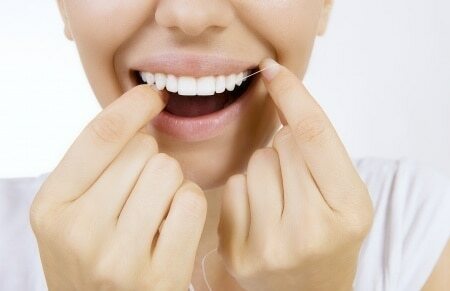 Flossing removes particles that are lodged between the teeth that a toothbrush can’t brush away. Toothpaste and rinse – Always use fluoridated toothpaste and mouthwash to help kill bacteria and protect the teeth and gums. Avoid sticky or hard foods – Sticky or hard foods can become attached to delicate braces made of metal. It is important to avoid these foods so they do not damage or break any part of the braces. Dr. McDermott will evaluate how clean you keep your braces at your regularly scheduled check ups. He will give you advice on how to better care for your braces so that your teeth will remain healthy and free of cavities. Even though you wear braces, you will still be able to eat many of your favorite foods. Foods that are extremely chewy, hard, sticky or crunchy should always be avoided. They can put pressure on the sensitive metal and dislodge wires and brackets that hold the appliance to the tooth. Most types of meat, grains, pasta, fruits and vegetables are acceptable to be eaten while you are wearing your braces. Foods like apples or corn on the cob that have to be bitten into should be avoided or cut up into bite-size pieces before you eat them. If your child is a student athlete, it will be important to remind him/her them to wear a mouth guard when participating in any athletic activity. Any contact with the mouth can lead to cutting or tearing of the gums or flesh inside of the mouth. 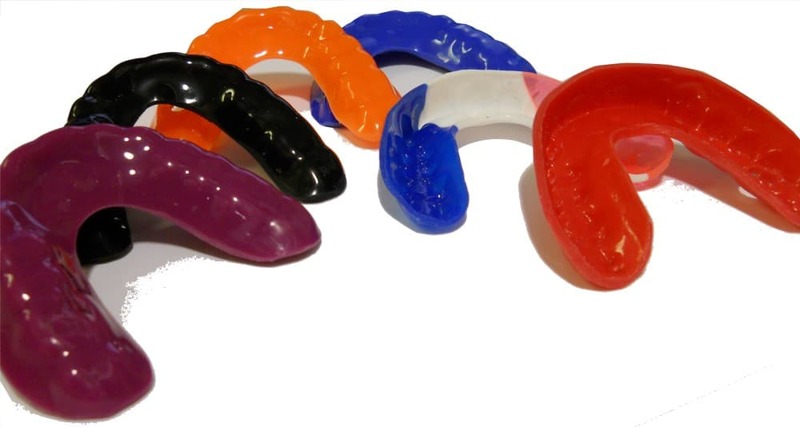 Mouth guards should be made of a hard, durable plastic or resin base that has been firmly molded to the child’s teeth. Living life with braces is well worth the extra work that must be put into caring for the mouth. When the braces come off and the teeth have been settled, the child’s smile will be worth more than a thousand words. Visit our contact location pages for the office closest to your home or place of work or call one of our local offices to schedule your complimentary consultation. In Brainerd, MN the phone number is 218-829-1630 and In Delano, MN call 763-972-4444. We also have offices in Baxter and Pequot Lakes.